The OKI 2040 Regional Transportation Plan encourages land use patterns that promote multimodal travel and the efficient use of land, natural resources, and public facilities and services. The Land Use & The Natural Environment section of the plan encompasses many Strategic Regional Policy Plan focus areas including the transportation relationship and impacts related to Land Use, Housing, Economic Development and the Natural Environment. The Strategic Regional Issues and Policy Recommendations of the SRPP are incorporated by the OKI 2040 Regional Transportation Plan by reference. The OKI Environmental Viewer was developed to provide communities in the region about regionally significant environmental resources. 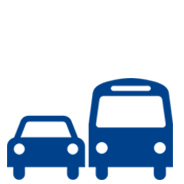 A primary purpose of this tool is to inform the Regional Transportation Plan of potential environmental impacts. In February 2018, OKI received national recognition as an early adopter Eco-Logical Implementation Assistance Program by the US Department of Transportation FHWA. OKI’s integration of state natural heritage endangered species data in advanced mitigation planning efforts was included in the FHWA Implementing Eco-Logical Annual Report published June 2017. OKI’s project prioritization process has been in effect for many years and has been cited as “best practices” by the Federal Highway Administration. This status has been achieved by periodically evaluating the process and revising as appropriate. The current process reflects increased focus on a performance-based planning approach for the Regional Transportation Plan and the Transportation Improvement Program (TIP). Adopted in 2016, OKI’s Coordinated Plan is a unified, comprehensive strategy for public transportation service delivery that identifies the transportation needs of seniors and individuals with disabilities; lays out strategies for meeting these needs; and prioritizes services for these target populations. The strategy outlined in the Coordinated Plan aligns with the objectives and policy recommendations of the SRPP for improving accessibility and mobility across the region. The Plan addresses Section 5310 (Enhanced Mobility of Seniors and Individuals with Disabilities) of Title 49 of the U.S. Code (U.S.C.) and is used by OKI to prioritize and identify projects to invest 5310 federal funding in the region. OKI holds information meetings each year for professional planners across the region, called Regional Planning Forum. The forum features a variety of topics that help inform planners about the issues and policy recommendations in the How Do We Grow from Here? Plan. The purpose of the Forum is to create a regional outlet for sharing information, experience and expertise among planners and those in related disciplines so that we can provide the best possible quality of life for those who live and work in our region. More information is available here. In May 2018, the RPF explored the potential of autonomous, or self-driving vehicles (AVs) to help solve present-day urban issues. Masters of Community Planning students from the University of Cincinnati presented their ideas of how autonomous vehicles may offer solutions to common planning problems. Their work stems from their semester-long capstone studio led by Professor Vikas Mehta.